Not all trees you find in a greenhouse are good for the environment. Take exotic invasive trees — they are known to take over a landscape. Avoid them at all costs. “Invasive Exotics Take Over!” It could be the title of a science fiction movie. While invasive exotic trees are not out of this world – most are from Asia or Europe – many areas in North America are being threatened by imported trees that have an aggressive and rapid growth rate. 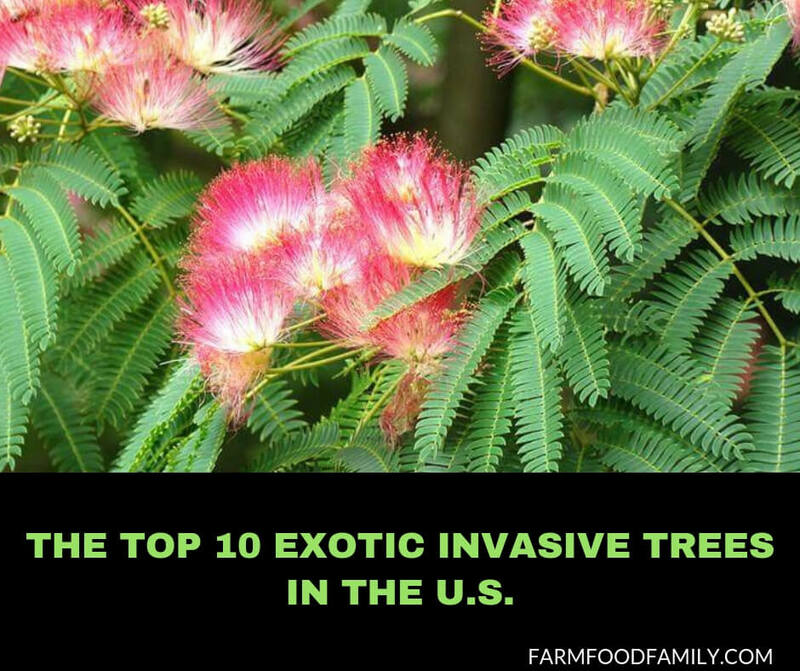 The Top 10 Exotic Invasive Trees in the U.S. Exotic invasive trees comprise a small percentage of the total invasive plant life (which includes aquatic plants, herbs, shrubs and vines) – but what makes them so insidious to our North American woodlands is that they have distinct advantages over native trees. For example, many invasive exotic trees leaf out before native trees – creating growth-inhibiting shade for the indigenous species and give the exotics a leg up in the growing season. Since exotic plants do not have the natural controls present in their native lands – such as herbivore animals, parasites and diseases — these exotic plants have an unfair advantage over native species and often go “wild” expanding over large areas, overwhelming existing vegetation and sometimes forming dense one-species stands. These aggressive invaders also reduce the amount of water, nutrients, light and space for native species and alter the soil chemistry and erodibility. At last count there were about 4000 species of exotic plants (including trees, herbs, vines and shrubs) in the United States. About 1000 of these exotic plants are considered invasive and a threat to our native species. from Iran to Japan (Also known as mimosa and silky acacia).